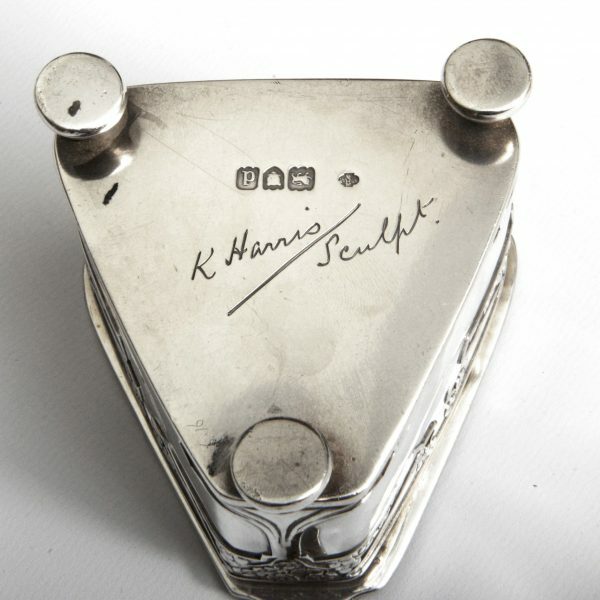 For sale is this really beautiful William Hutton sterling silver box signed by Kate Harris, “K. Harris, Sculpt”. The lid of the box is embossed with her classic maiden head design holding a mirror. I am aware of only one other Kate Harris signed piece for Huttons, also dated 1899. Almost certainly these are exhibition pieces, conceivably for the Paris 1900 Exhibition where Kate Harris’ designs received a commendation by the French judges. 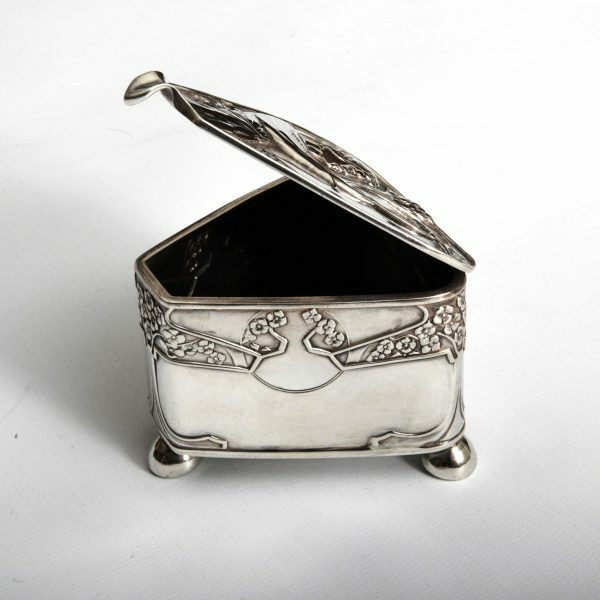 The box is in excellent, crisp, condition and is a very good gauge of silver. 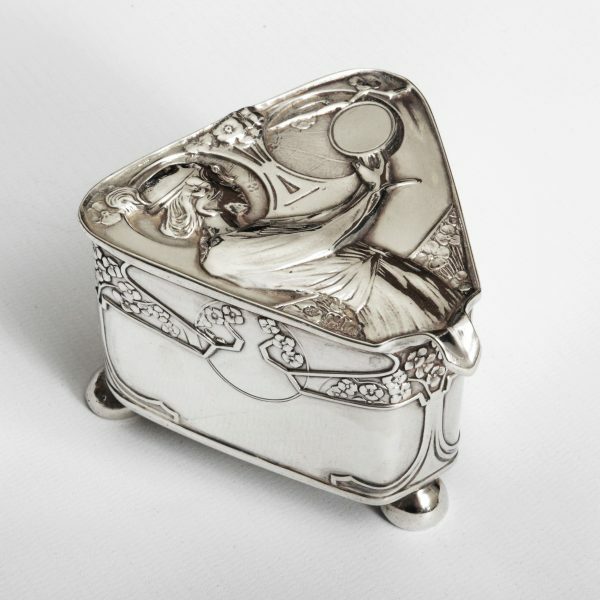 Kate Harris was employed the London studio of William Hutton & Sons to produce artistic silver from 1899 to c 1905. 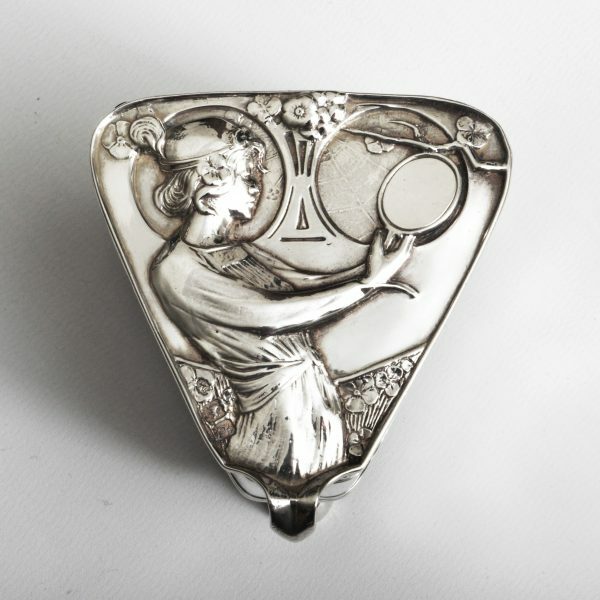 See Dr Stephen Pudney’s articles on Kate Harris in the Decorative Arts Society Journal Vol 22 “A marriage of art and commerce: Kate Harris and the arts and crafts silverware of William Hutton & Sons” and 2015 Volume 39 “The mystery woman of English art nouveau”.